This luxury suite is equipped with a king size bed and lounge. 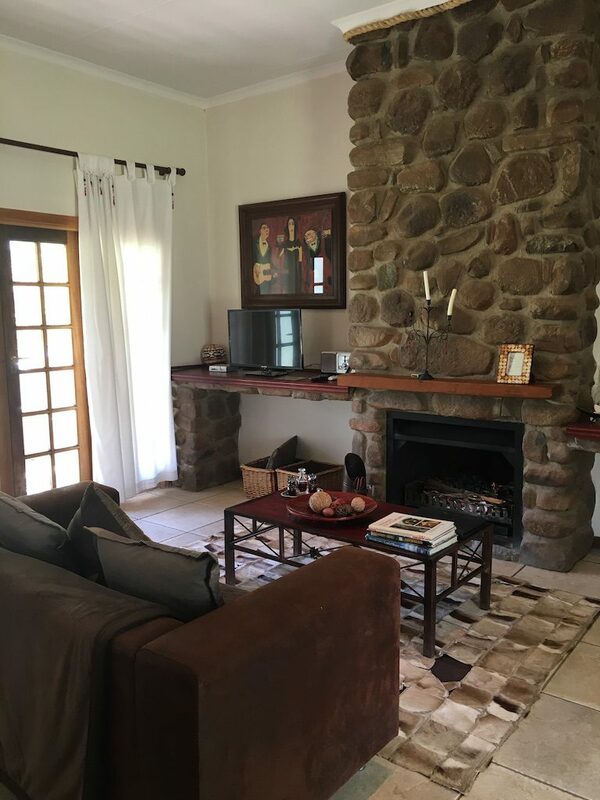 Enjoy a coffee in front of the open fire place or a sundowner on the private veranda while utilising the free WiFi. 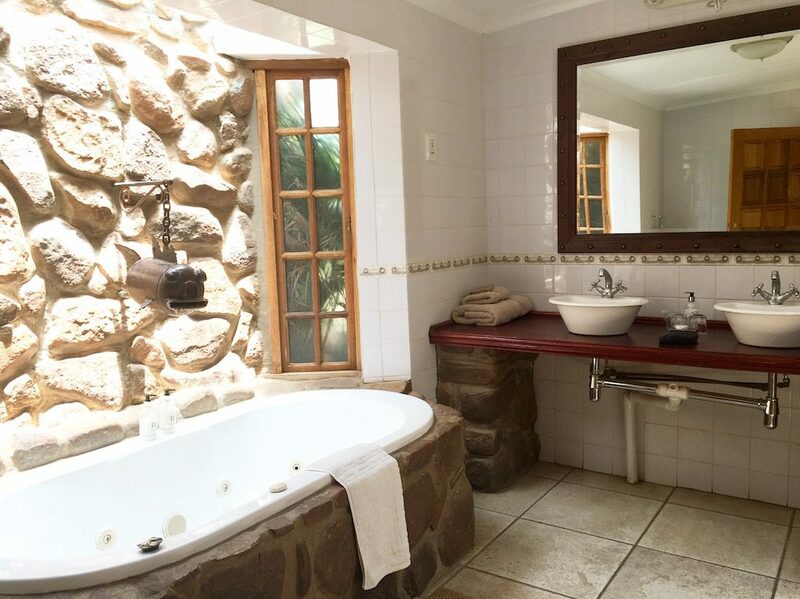 The en-suite bathroom is equipped with an inside jet bath, WC, and both an inside and outside shower. Breakfast included in room price. The springbuck running on the open plains of the Free State, is such an awsome sight. This was the inspiration for the room. 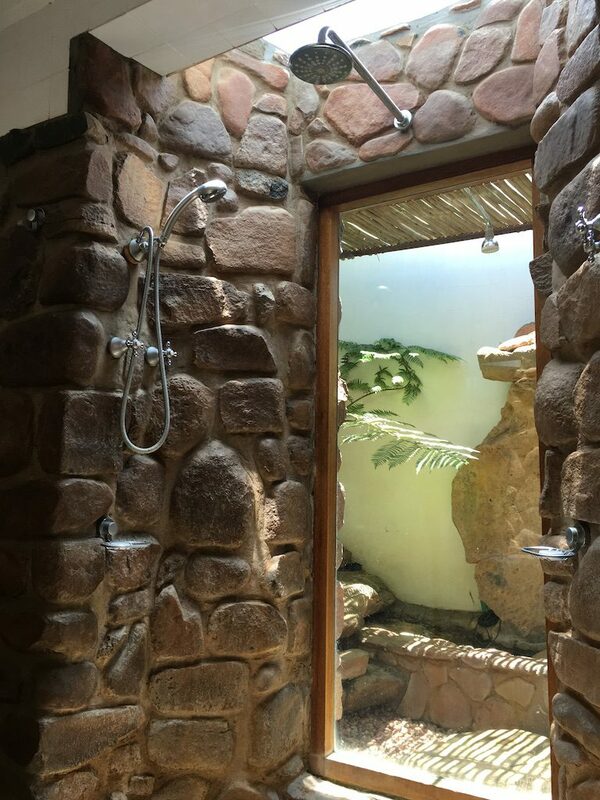 The rock used in the bathroom construction was sourced from the surrounding ‘koppies’. 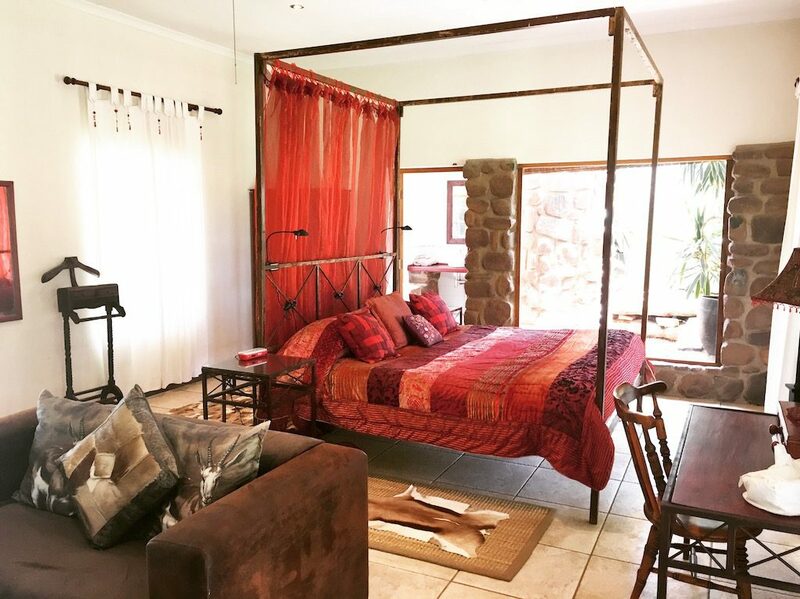 The four poster bed in the middle of the room personifies this concept and has a beautiful view of the garden.